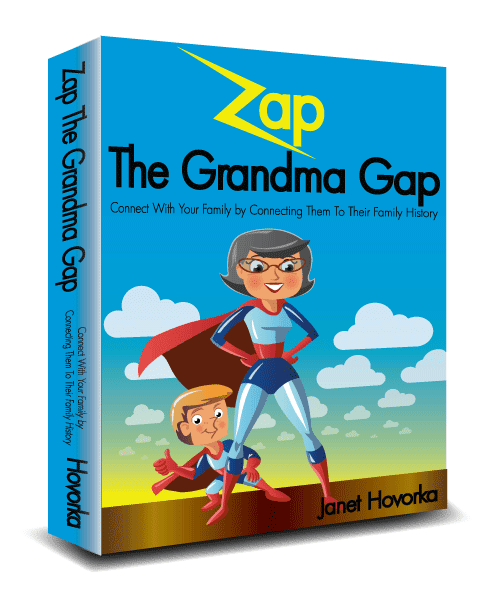 At long last, for the first time ever, I am pleased to announce that all of my Zap the Grandma Gap books and workbooks are now available in e-book form! It was a bit of a curve ball for this traditional librarian to decide to go digital, but with great thanks to my employee, Christine, I am ready to offer you all portable versions of each of my books, including my three brand new workbooks. 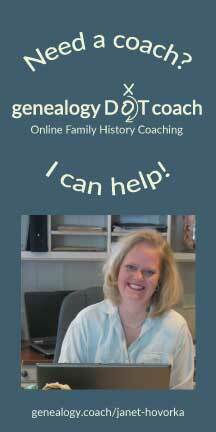 With hundreds of live links to all of the best genealogy sites all over the web and instant delivery, these e-books are sure to be a hit with your family members. We hope this new delivery system will make it even easier to share your family history with your family members. Purchase a hard copy of any of my books or workbooks and receive the e-book of that same book for only $1. This is a great option for giving a book and keeping a book. You can't beat a little personal reward for just a dollar, can you? Just place the order for a hard copy book and then order the same book in the e-book format. Click on over to your cart when you are ready to check out and the e-book will automatically be adjusted in your cart to only $1. Purchase 5 or more e-books and receive 50% off your entire e-book order. Say you've banished paper books from your house and only live by your iPad? No problem, I've got you covered! The more you buy of my e-book editions, the more you'll save. Buy multiple copies of the same e-book to share with your children or grandchildren, or purchase one of each just for yourself, it won't matter because you'll receive 50% off and you'll be saving tons! On this offer, you'll need to enter the promotional code "Zap5HalfPrice" and the sale will automatically appear in your shopping cart. Kind of like magic but more like computer programming. I'm doing my best to lessen your trips to the store this December and e-books just can't get any simpler. They are great for gift-giving or for personal reading when you have a few spare minutes (on the bus or train, while you wait for your car's oil change, in the doctor's office, in line at the store...). 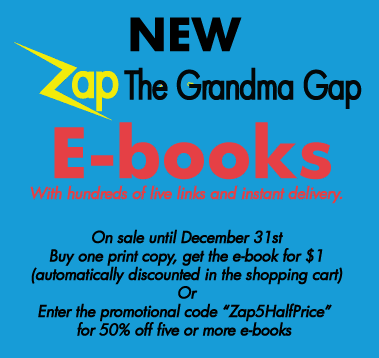 Take a moment to review all of my Zap the Grandma Gap e-books and add some to your digital reader today. Order extra copies to send to friends or family. The more you give, the more you save! Win-Win for everyone, if you ask me. The digital e-books will automatically arrive with a downloadable link directly to your email address (all books are .pdf files). The link is not sharable, unless you purchase multiple copies of the book (this is where our multiple copy sale comes in). The copyright on these e-books are for personal, home use only. However with our hard copy/digital copy sale, you can easily keep the print version and send on the e-book copy on without any concerns over copyright issues (or vice versa). Hopefully both sales will give you plenty of flexibility in all of your gift-giving needs. Grandma's love to send the digital copies to their children to use in their own homes and then keep hard copies for when the grandkids come to visit. One sibling can purchase multiple digital copies of the books or workbooks, for all of his or her brothers and sisters, so everyone can share in the joy of researching their family heritage. Or keep all of the copies for yourself as a secret hat trick for when family comes to visit you! The possibilities are pretty much endless. And yet the results are ultimately the same: helping you and your family connect to your past ancestors in order to build stronger bonds right now. Let us know how it goes with your family members. 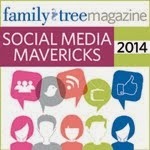 We love to hear about your successes in sharing your family's history with the next generations. Thanks for helping us share this important topic and strengthening families. We hope it strengthens your relationships--especially at this time of year. Happy holidays from all of us!